Wall Street star consultant Stella Sartori is very good at her job. So good, in fact, that she can't help but follow up a casual remark made during a routine company assessment. It leads her to a dusty old contract in the archives. Within hours she is running for her life, taking the file and its cryptic contents with her. Fellow Australian Jack Rogers is sent in for damage control, but when he finds Stella's notes, her realises she has stumbled on to a devastating secret. Suddenly, it's vital that he finds her before someone else does. Relentlessly pursued across the country, Jack and Stella uncover a shocking trail of corruption and murder dating back forty years, with an explosive secret at its heart. If they can prove their suspicions correct, they'll survive. 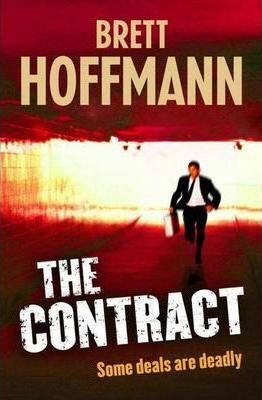 But with the contract in their hands, the past threatens to destroy them. Brett Hoffmann was born in Australia, but moved with his family to Europe at age three, beginning a lifelong love of travel. He completed degrees in Law and Arts at ANU and has worked as an international management consultant. He lives in Melbourne.